Trained in Spain, the UK, and the US, I work on Comparative Literatures of the Americas with a concentration on transnational, post-colonial, and neo-colonial cultural production. The critical methodologies of my research engage the combined humanistic traditions of textual analysis, cultural history, literary criticism and theory, with socio-political conceptualizations of nation and nature. I am particularly drawn towards historically-placed, materialist readings of aesthetic practices as an effective means to engage the prevailing onslaught on the humanities by the agents of academic bureaucratization and corporatization. My early research focused on the critical relations between nationalist narratives and the discourses of progress and modernity as seen by intellectuals and writers in Latin America and the US. Out of that research emerged my first monograph After the Nation: Postnational Satire in the Works of Carlos Fuentes and Thomas Pynchon (Evanston: Northwestern UP, 2014) which theorizes the emergence of a hemispheric “new leftist” sphere of anti-nationalist literary encodements during the Cold War and beyond. I interrogate the role of these canonical authors whose works sit squarely in the center of their respective national literary systems despite the fact that their Postnational satires engage in an in-depth questioning of official histories, epic narratives, and the grand discourses of national identity. Discussions of Hispanidad, Mexicanidad, and Americanness are an important part of my syllabi and scholarly production. I have published a number of articles on the ways in which Spanish writers portrayed Latin American nationalisms after independence (from the early 19th Century to the 1930s). As a scholar with Transatlantic interests, I am a co-editor with Sebastiaan Faber (Oberlin College), Cecilia Enjuto Rangel (University of Oregon), and Robert Newcomb (UC Davis) of the volume Transatlantic Studies: Iberia, Latin America, Africa currently under contract with Liverpool University Press. This volume will offer a new paradigm for open discussions about the configuration of traditional fields and departmental divisions challenging national and linguistic biases in the study of transnational cultural relations in the Atlantic basin. Literary, visual, and intellectual debates about mining and extractivism in the Americas conform the center of my current book project. I delve into the archives of the lettered city and its often ambivalent relation with extractive industries throughout the post-colonial period. Seeking to unearth the records of these debates from the time of independence into the present era, I engage a diversity of themes such as the contradictory and embattled figure of the miner as both victim of social exploitation and agent of ecological destruction; the different utopian horizons of anarchist, liberal-capitalist, and socialist writers and political theorists; and the early constitution of an eco-critical cultural resistance to unsustainable extractivist practices in the hemisphere. As a result of my research into the debates over mining in the period of Mexican independence (1810-1821), I have identified a number of key voices and cultural agents who allow me to situate mining at the center of the letrado debates about political dependency and emancipation. One such voice is the liberal-leaning autonomist scientist and poet Fermín de Reygadas (1754-1824?) who actively participated in these debates with an abundance of pamphlets and a direct engagement with well-known figures such as Andrés Quintana Roo (1787-1851). 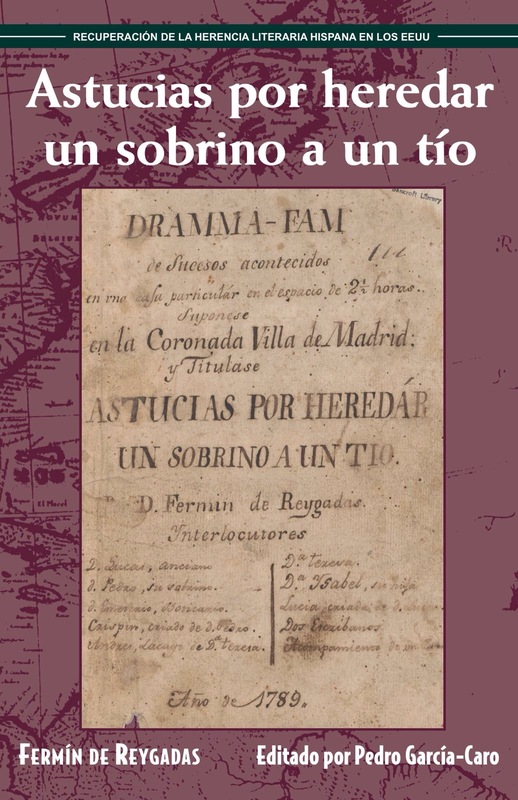 My exploration into this early archive has already resulted in a critical, annotated edition of the first Spanish-language play performed in colonial California, Astucias por heredar un sobrino a un tío, by Fermín de Reygadas (Houston: Arte Público Press, 2018. Recovering the US Hispanic Literary Heritage), this is a neoclassical play, censored in Mexico City in 1790 and smuggled and performed in Alta California shortly after. A series of contemporary adaptations and performances of this play demonstrates its relevance for a modern Latino audience in the US. LAS407 The Americas are (a) Mine: Natural Exploitation in the American Hemisphere. A Cultural Debate. SPAN 317 Survey 19th-20th Century Peninsular Literature. SPAN319 Survey 19th-20th Century Latin American Literature. SPAN333 Introduction to Spanish Narrative: One Hundred Years of Solitude. SPAN407 Nation against People: Contemporary Chilean Literature. SPAN407 La patria contra el pueblo: Nationalism and Narratives of Violence in 20th Century Latin America (from Chile to California). SPAN407 A Neo-Colonial Gaze? The Americas in Spanish Literature 1808-2003. SPAN407/507 Naturalisms: Literary Ecologies of the Social World. RL410/510 Touring the Other Side: Literatures of the US-Mexican Border. SPAN480 Carlos Fuentes and Mexican Postnationalism. SPAN490/590 Social Change, the Avant-Garde and the Mexican Revolution. SPAN490/590 Cultures of Narco-Traffic in Mexico, Colombia, and the US. COLT407/507 Undermining Empire: Novel Nations and the Americas. RL623 Colonial Skins, Independent Acts: Postcolonial Literatures of the Romance World. SPAN690 (Post)Colonial Spanish Cultures: 1810-2010. “After the Nation is an extraordinarily rich book that encompasses more than literary criticism—the cultural history of divergent nations that cannot or should not be ignorant of each other’s culture nor of its dissident voices.”—Jean Franco, from the foreword. “Exemplary in its inter-American scope, well-conceived and clearly written, this book offers an innovative framework to investigate a wide array of interrelated American topics—border crossing, modernity, enlightenment, postcolonalism, exceptionalism—that have shaped the works of Carlos Fuentes and Thomas Pynchon and, by extension, of many contemporary U.S. and Latin American writers.”—Alejandro Herrero-Olaizola, Arthur F. Thurnau Professor of Spanish and Latin American Studies at the University of Michigan and author of The Censorship Files: Latin American Writers and Franco’s Spain. - West, Ty. A Contracorriente: "Transnational Genealogies and Post-national Literary Canons." 12. 2 (2015): 455-461. - Castañeda García, Daniel. Literatura mexicana 26.2 (2015): 139-143. - Juan-Navarro, Santiago. "Review of After the Nation. Postnational Satire in the Works of Carlos Fuentesand Thomas Pynchon by Pedro García-Caro." The Latin American Literary Review 43.85 (2015) 109-112. - Janzen, Rebecca. García-Caro, Pedro. "After the Nation: Postnational Satire in the Works of Carlos Fuentes and Thomas Pynchon. Evanston, IL: Northwestern University Press, 2014." TRANSMODERNITY: Journal of Peripheral Cultural Production of the Luso-Hispanic World, 6.1 (2016). ssha_transmodernity_30933. - Castany Prado, Bernat. Revista Iberoamericana, XVI, 62 (2016): 268-70. - Delden, Maarten. 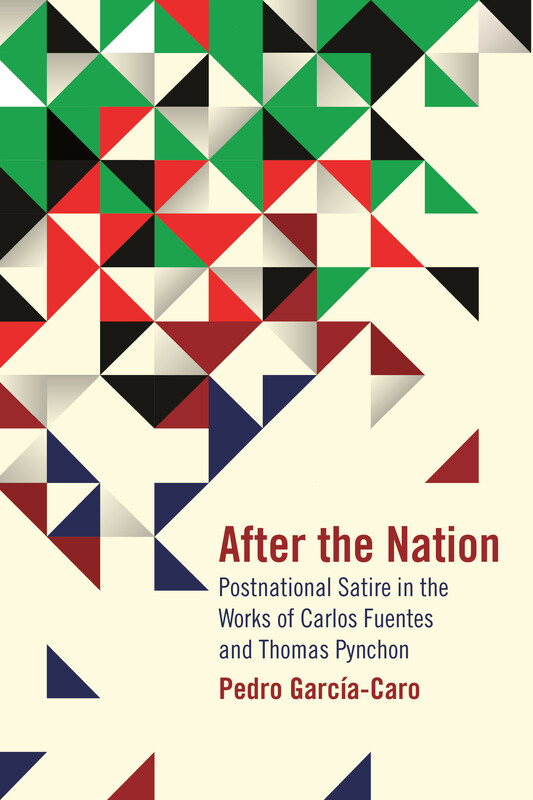 "After the Nation: Postnational Satire in the Works of Carlos Fuentes and Thomas Pynchon by Pedro García-Caro (review)." Revista de Estudios Hispánicos 50.1 (2016): 263-265. Wallace Shawn, La fiebre/The Fever A Bilingual Edition/Edición bilingüe. Ed. and trans. by Pedro García-Caro in collaboration with Rafael Spregelburd (Paris: Les editions du Paquebot, 2012). Astucias por heredar un sobrino a un tío by Fermín de Reygadas (1789). Critical introduction, edition, and notes. (Houston: Arte Público Press, 2018). This is a neo-classical drama never published before, identified as the first play performed in the secular settlements of early California. Transatlantic Studies: Iberia, Latin America, Africa. Introduction and edition with Cecilia Enjuto Rangel, Sebastiaan Faber, and Robert Newcomb. Under contract with Liverpool University Press, expected publication spring of 2019. A collective volume on methodologies and topics in Translatlantic Studies. La verdad sobre el caso José Antonio Primo de Rivera, memorias del juez instructor. Introduction and co-edition with Cecilia Enjuto-Rangel. Under review. Undermining Empire: Mining Literature and the Aesthetics of Natural Determination. “A Play for Branciforte: Early California and the Survival of Astucias por heredar un sobrino a un tío, a Banned Comedia from Bourbon New Spain.” Early American Literature 53, no. 3 (2018): 773-884. “Performing to a Captive Audience: Dramatic Encounters in the Borderlands of Empire.” The Cambridge History of Latino/a American Literature, ed. by John Morán González and Laura Lomas. (Cambridge: Cambridge University Press, 2018), 51-73. "Luvina" y la teoría política de Juan Rulfo. Monteagudo: Revista de literatura española, hispanoamericana y teoría de la literatura 22 (May 2017). 89-95. “Aura y la teoría narrativa de Carlos Fuentes.” En breve: la novela corta en México. Ed. por Anadeli Bencomo y Cecilia Eudave. (Guadalajara: Universidad de Guadalajara, 2014), 143-157. “Entre occidentalismo y orientalismo: la escritura estereográfica de la Revolución mexicana en España. El militarismo mejicano (1920) de Blasco Ibáñez y Tirano Banderas (1926) de Valle-Inclán.” Revista Hispánica Moderna 65.1 (June 2012). 9-31. “Las minas del Rey Fernando: plata, oro, y la barbarie española en la retórica independentista hispanoamericana.” Anales de Literatura Hispanoamericana 40 (Fall 2011). 39-59. “España, última colonia de sí misma: la justicia en el exilio.”L'exil espagnol dans les Amériques. Ed. Ernesto Mächler Tobar et al. Paris: Indigo et Côté-Femmes, 2011. 51-66. “Entre familiaridad y exotismo: un episodio (trans)nacional de Benito Pérez Galdós.” Special Issue: “España en armas: Culture of Wars/War of Cultures” Vanderbilt e-Journal of Luso-Hispanic Studies, 4 (Winter 2009). 57-71. “La nueva izquierda y la agonía del nacionalismo mexicano en La muerte de Artemio Cruz.” Alma América. Vol. I Ed. Vicente Cervera Salinas and María Dolores Adsuar. Murcia: Universidad de Murcia, 2008. 287-304. “‘America was the only place…’ American Exceptionalism and the Geographic Politics of Pynchon’s Mason & Dixon.“ The Multiple Worlds of Mason & Dixon. Ed. Jane Hinds. New York: Camden House, 2005. 101-124. ”Damnosa Hereditas: Sorting the National Will in Fuentes’ The Death of Artemio Cruz and Pynchon’s The Crying of Lot 49.” How Far Is America From Here? Ed. Paul Giles, Theo D’Haen, Djelal Kadir, and Lois Parkinson Zamora. Amsterdam, New York: Rodopi, 2005. 323-345. “Behind the Canvas: The Role of Paintings in Peter Ackroyd’sChatterton and Arturo Pérez Reverte’s The Flanders Panel.“ Crime Scenes: Detective Narratives in European Culture since 1945. Ed. Anne Mullen and Emer O’Beirne. Amsterdam, New York: Rodopi, 2000. 160-170. “Under Western Eyes: D.H. Lawrence’s Mexico.” Proceedings of the 22nd International Conference of AEDEAN. Ed. Pere Gallardo and Enric Llurda. Lleida: Editions de la Universitat de Lleida, 2000. 281-286.
Review of Cervera Salinas, Vicente. Borges en la ciudad de los inmortales. (Sevilla: Renacimiento, 2015). Hispamérica, 45.
Review of Claudio Lomnitz The Return of Comrade Ricardo Flores Magón (New York: Zone Books, 2014). Transmodernity: Journal of Peripheral Cultural Production of the Luso-Hispanic World, 5:2 (2015): 119-124. “The Uncertain Territory of Memory: A Conversation with Chilean Writer Roberto Brodsky” in collaboration with Lisa DiGiovanni. World Literature Today, September 2012. The Death of Carlos Fuentes: An Impossible Silencing Act. In Memoriam (1928-2012). A Contracorriente, Vol. 9, No. 3, Spring 2012, i-x. “Más allá del silencio.” Revista de la Universidad de México. Número 100 (Junio 2012). 65-69. “Hacer bien el oficio: La escritura y los olvidados. Entrevista a Elena Poniatowska.“ Cartaphilus, 7 (2010). 255-266. “Written in the Margins: ‘Doing the Job Right’. An Interview with Elena Poniatowska“ A Contracorriente, 7: 4 (Fall 2010). 349-370. “Exorcising the Lettered City: The Literature of the Villista Revolution. A Review of Max Parra’s Writing Pancho Villa’s Revolution.” A Contracorriente: A Journal on Social History and Literature in Latin America 5: 1 (2007): 215-227. “Review of Mexicanos: A History of Mexicans in the US by Manuel G. Gonzales.” Comparative American Studies: An International Journal, 2: 2 (2004): 252-4. 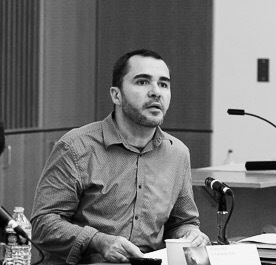 - Roundtable on Astucias por heredar with theatre Director Robi Arce at Portland State University (February 2018). - Interviewed on La fiebre/The Fever on Puerto Rican Radio Station program 123 Probando: Part 1 and Part 2 January 2013. Editor, Les Editions du Paquebot. Contact us directly here.